For me here in Central Florida the Vanda orchids are one of the easiest orchids to grow. Most of the hybrids flower several times a year. 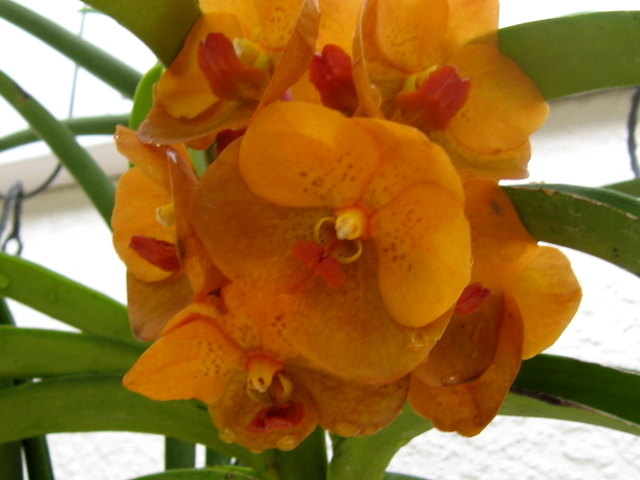 This Vanda is a species native in the Philippines. It flowers in spring, and so far it has never flowered more than once per year for me. 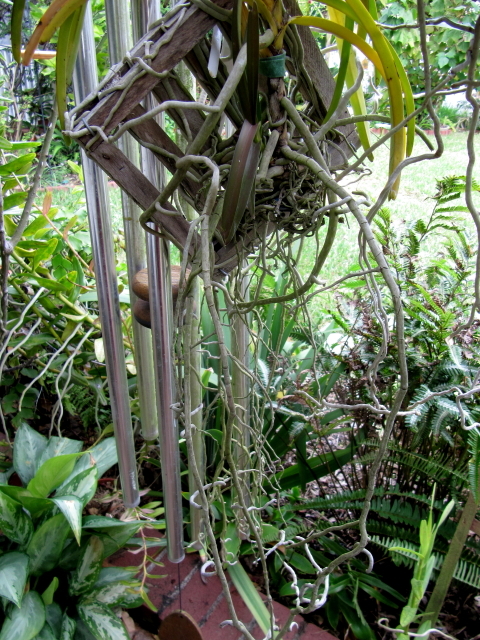 I mount them to Vanda growing boards, so not to stuff the roots into a basket since I love the long, silvery roots and display them by letting them hang as long as they want to grow. I am still learning how to care and keep orchids. Our winters can be very dry and cold, and they do not always make it...indoors. I do have one that is coming up with new shoots, so I am very pleased. We had a mild winter, so perhaps that is why things are going well. Oh, I love all of your vandas, especially that Vanda lamellata var. boxallii! So pretty! I have four vandas hanging under a tree, but i think they might get a little bit too much sun. Recently there was one new shoot came out, but dried out prematurely, don't know why. I think I should try your daily misty method. 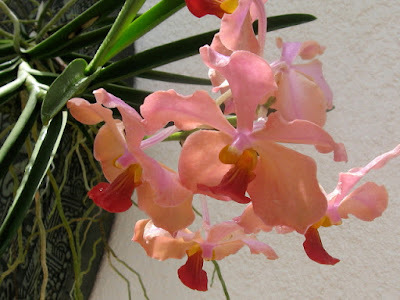 Wow, what beautiful orchids. Love the subtle shading and colors. 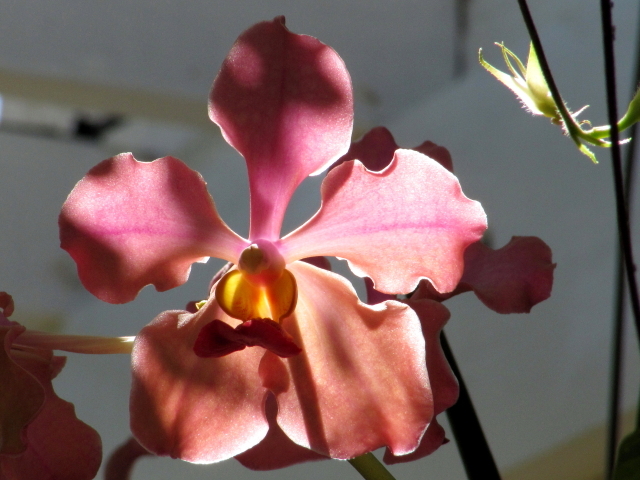 I have never been successful at growing orchids, even supposedly "easy" ones like semi-terrestrial. (In general I'm terrible at houseplants.) So nice to see these exotic beauties growing well. 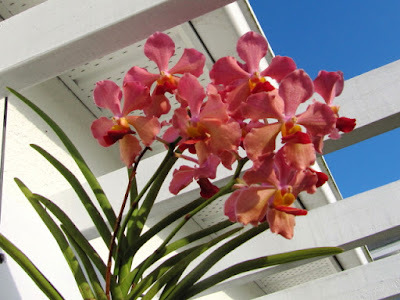 What beautiful vanda orchids. I love to see them growing in a natural climate for them. 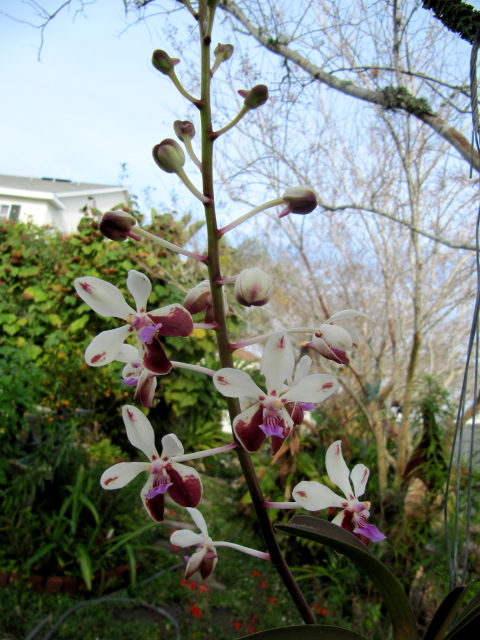 I've had several attempts at growing orchids, but not been very successful. 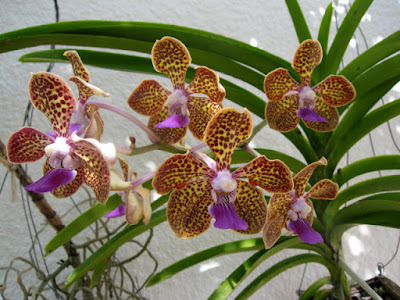 Never grown a vanda orchid though. Might give it a try. Such interesting roots! I've never seen them grown like that. I don't know a lot about orchids, but they are beautiful. You have some gorgeous ones! 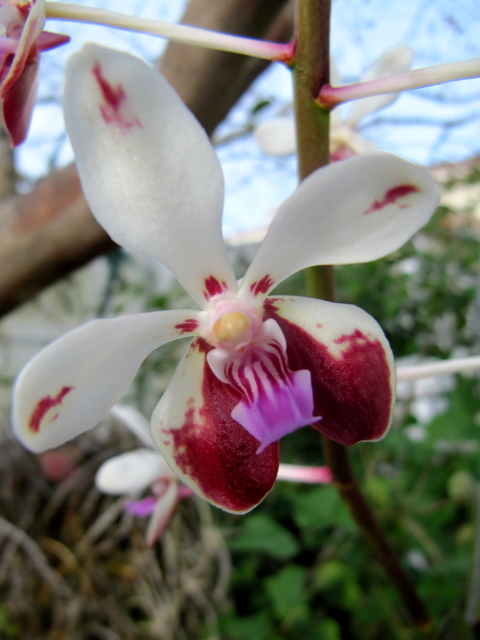 You have such healthy & lovely orchids! They are happy :) V.Cindy Banks Hilltop is certainly very eye-catching. Hmm, that unknown plant is so similar to the 1 in Linggi House, haha. I've recently transplanted a clump of Dancing Ladies [flowers are smallish & in yellow with brown specks], can't wait for them to flower & post it up. Lovely Orchids! I'm hoping my Orchid plant will survive after the blooms are gone. It will be my first attempt at trimming for future blooms. Wish me luck!